The Monday Morning Manager (MMM) is a blog series where leaders share their path to management, successes, challenges and lessons learned as they climbed up the ladder. It highlights someone who embodies our Human Service Management Competencies and can serve as an excellent example to others striving to improve their management skills. We think you have much to offer our blog readers! 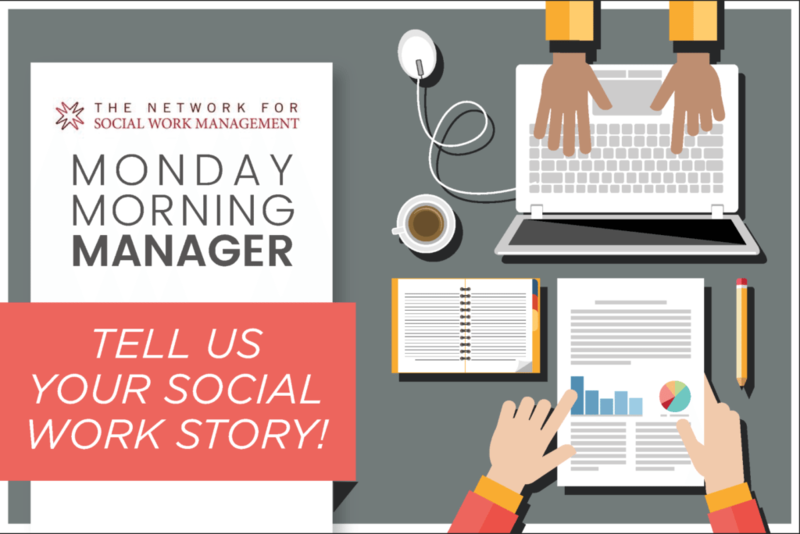 If you would like to be included in this blog but don’t have time to fill-out this form, contact us at info@socialworkmanager.org. All efforts will be made to ensure that selected entries represent the vast array of social workers in leadership roles. Please note that all entries will not be selected. Know someone you should be highlighted here? Refer them to us! We look forward to hearing your management story! Managers of all experience levels are welcome!